From Learning Time to Homeschooling: A Seamless Transition. How doing learning activities in preschool years helps you prepare for homeschool during school years. I first learned about the Babywise version of Learning Time right here on Val’s blog. I was happy to find something new to incorporate into my son’s daily routine as he was getting older. As a former teacher turned stay-at-home mom, I knew then that learning time would be an important (and hopefully fun) part of our day. When my son was an infant and pre-toddler, I can remember carefully choosing toys that would promote his development. I remember carefully choosing board books to show him about current holidays or places we had visited like the farm or beach. I remember slicing holes in the top of a container and showing him how to put pom-poms through the hole. DIY fine motor work at it’s finest! I think I started “official” learning time with my son when he was about 20 months old, right after my daughter was born. During her morning nap, I presented my son with a new lesson and then afterwards we would head outside to play. During learning time, I taught my son about colors, shapes, letters and numbers. We did puzzles, made crafts based on the current season or holiday and experimented with various types of art materials. I followed his interests and together we both learned a lot about topics like outer space, dinosaurs and sharks. We both really loved this focused time of day. As any parent knows, children are innately curious. Meeting his natural desire to learn was a joyful experience for both of us. As my son grew older and I read Toddlerwise and then On Becoming Preschoolwise, the importance of learning time was one of my biggest takeaways. I knew I wanted my children to be as prepared for school as they could be. I felt empowered, as their mother, to do the best I could for them at home. 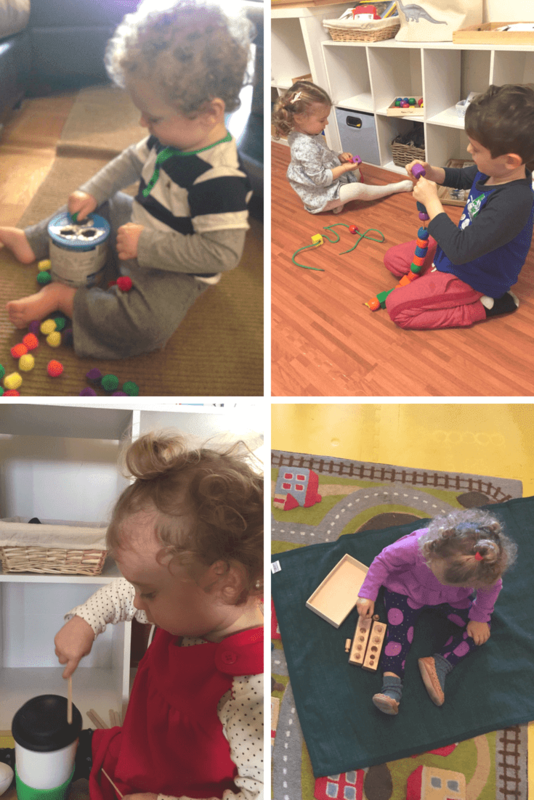 As the mother of a preschooler and and a toddler at this point we moved from learning time with one child, to learning time with two! This was a lot of fun and my daughter learned (and continues to learn) so much just from watching her older brother work and play. While scouring the internet looking for learning activities to do at home, I came across many homeschool blogs. It sounded like something I would love, but homeschooling was something I had not really thought of for our family. I was a former public school teacher and although I always knew I wanted to keep my children home during their nursery school years, I did think they would attend public school starting in Kindergarten. However, it was plain to see that we were all loving learning at home. 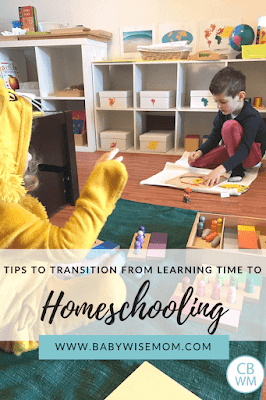 Since my children were already developing strong academic backgrounds and clearly enjoying learning at home with me as their teacher, it also helped my husband see that homeschooling might not be that crazy of an idea. We spent a lot of time researching the best ways to work with children at home, to meet their needs and follow their interests. Together we developed the vision for our family homeschool. I don’t think I would have come to the idea of homeschooling without being introduced to learning time first. Learning time really laid the foundation for our homeschool. People often ask me, “when did you start homeschooling?” Thanks to learning time, it feels as if we always have! If you are looking for learning time ideas for your young child, start right here on this blog. Val has great ideas for all types of learning activities from reading to music to art and more! 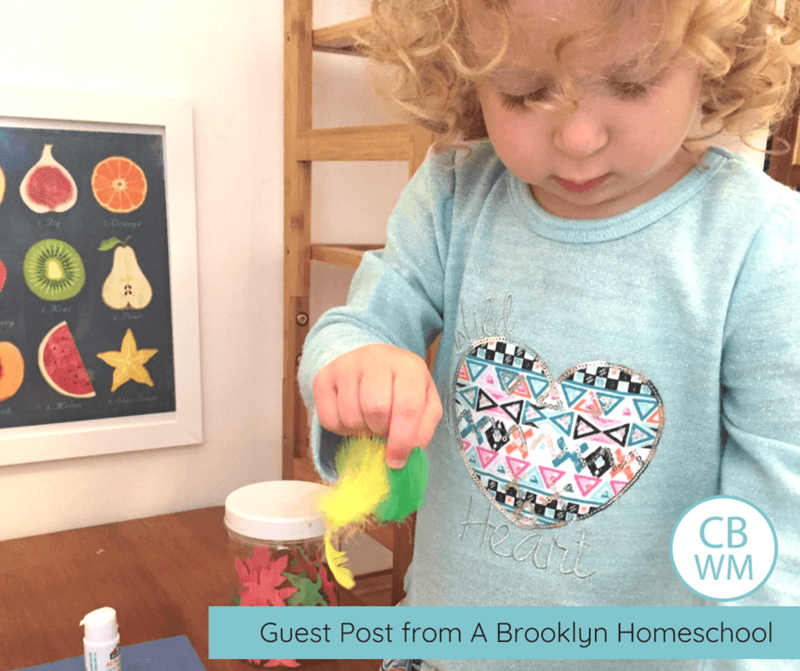 To read more about A Brooklyn Homeschool and their homeschooling, be sure to visit their blog! Jeanine is homeschooling mom to her 5.5 year old son and 4 year old daughter. She lives in NYC and blogs about the how and why behind their Montessori inspired homeschool at abrooklynhomeschool.com. You can also follow along on their homeschool journey on Instagram @abrooklynhomeschool.